Consumers cut off from progress in endpoint protection? The Dridex banking Trojan is back from the ashes like the Phoenix. In his post ‘Dridex malware adopts redirection attacks to target high-value UK banking customers’, published on 20 January 2016 in security blog GrahamCluley, David Bisson clearly shows that the Trojan attacks banks and end users with terrifying speed. How can end users protect themselves? To be honest, the advice to keep the anti-virus solution up-to-date creates a false sense of security. Let me give you a current example. In the worst case consumers were unprotected for about 2 days. 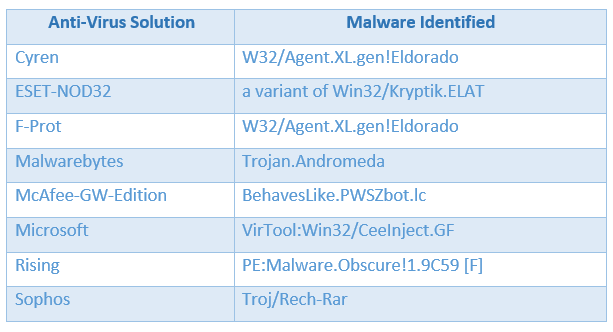 Moreover, up to yesterday evening 22 of 54 anti-virus solutions had still not identified the malware. 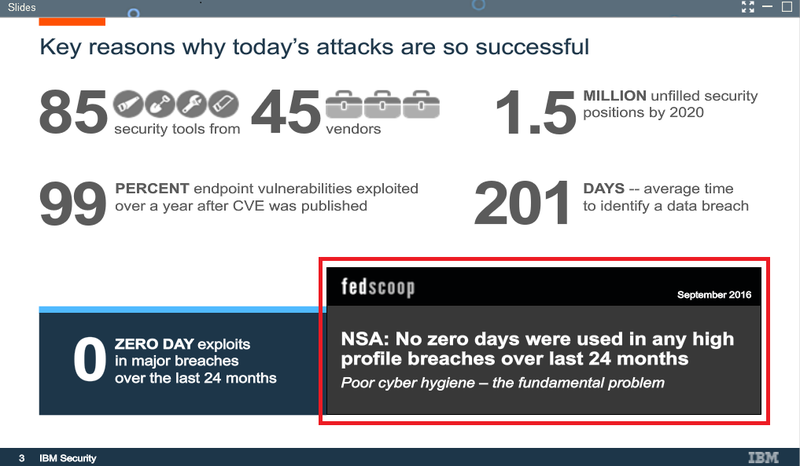 Advanced endpoint security tools could deal definitely better. Unfortunately the vendors of such solutions focus on the private businesses. Even more than the industry the consumers need decision-making aids in how to protect effectively against malware. At the moment they are not participating in the progress in technology at all. As always the user is the first and best line of defense. ‘Check twice before you click on whatever links or attachments’, is the best possible advice. Have a good weekend, and, don’t rely too much on your anti-virus solution! 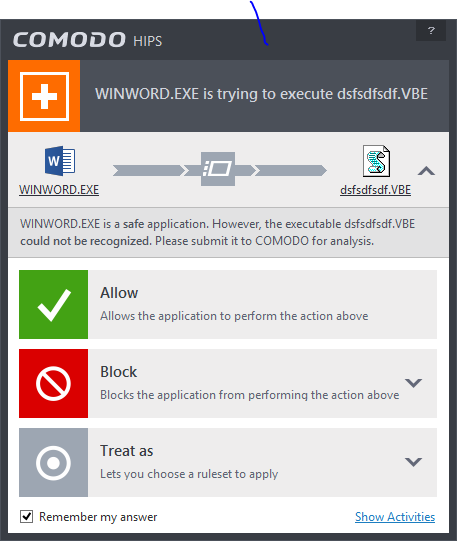 This entry was posted in Opinion, Survival tips and tagged Banking Trojan, Dridex, Endpoint Protection, GrahamCluley, The Cyber Intelligencer, VirTool:Win32/CeeInject.GF on January 23, 2016 by Klaus Jochem. Very well said! But it is important to take the next step: Once you have conducted this evaluation the sum of all gaps or the residual risk could be grasped. In my opinion this is the most important information. It shows the critical vulnerabilities and, when related to the current overall threat landscape, the direction for further investments. A CISO is well advised to do this matching regularly. This entry was posted in Opinion and tagged Endpoint Protection, Endpoint Security, Invincea, Norm Laudermilch, The Cyber Intelligencer on January 18, 2016 by Klaus Jochem.